On your 15 day Island Peak Expedition you will not only reach the summit of the Island Peak but also experience trekking in the most covered Everest region. 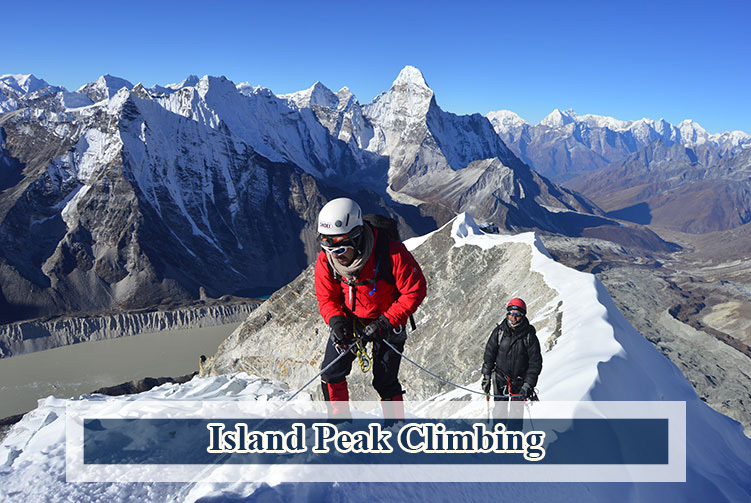 Island Peak also called ‘Imja Tse’ by the Nepalese is a popular choice among novice climbers who wish to begin their mountaineering journey by summiting Island Peak and then move on to other peaks. The mountain was named “Island Peak” in 1952 AD due to its striking location in the middle of the Chhukung valley, like an island on a sea of ice. Island Peak has an impressive, highly glaciated west face that rises from the Lhotse Glacier which is a bit tough to do; however, the mesmerizing views from the summit are certainly a fitting reward for your efforts.